Here you will find information about important dates, our office hours, location, payment options, and tuition and fees. We are located on the first floor of the Zaffirini Success Center in Room 137. State law requires that users of the site are informed that this site collects the following information about users: Name, Social security or Tax ID Number, Phone Number, Address, Bank Account Information, Drivers License Number. *Payments made after Tuition & Fees due dates will be charged a $100.00 late fee. The Bursar's Office offers an installment payment plan option which allows students to divide the total semester costs into four payments. Students pay 25% of the total tuition and fees plus a $30.00 processing fee at the time when the installment plan is requested. Students make three additional payments, each 25% of the total tuition and fees, on specific dates throughout the semester as designated by the Bursar's Office. The installment plan is only available during the fall and spring semesters. Installment plans are available online at www.tamiu.edu/pay or in person at the Bursar’s Office. At the Bursar’s Office students will be required to submit a signed installment contract (Promissory Note) in order to receive the loan. For additional information, contact the Bursar's Office at (956) 326-2140 or email businessoffice@tamiu.edu. For instructions on how to process an Installment Loan online, click here. The Bursar's Office also offers emergency tuition loans to assist students pay tuition and fees. To qualify, the student must be enrolled and have no outstanding balance due to the University. A $30.00 application fee must be paid at time of request. Funds are available on a first-come first-served basis. Emergency Tuition loans are available online at www.tamiu.edu/pay or in person at the Bursar’s Office. At the Bursar’s Office students will be required to submit a signed Emergency Tuition Loan contract (Promissory Note) in order to receive the loan. For additional information, contact the Bursar's Office at (956) 326-2140 or email businessoffice@tamiu.edu. For instructions on how to process an Emergency Tuition Loan online, click here. The Business office offers short-term book loans to help students purchase textbooks. 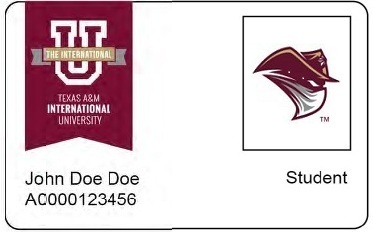 To apply for a book loan the student must be registered, present their TAMIU student ID card, pay a $10.00 processing fee and submit an application at the Business Office. Students may borrow the full amount of their textbooks with a signed estimate sheet from the Bookstore; otherwise, the application will be processed at $25.00 per registered hour ($75.00 per three (3) hour course) enrolled at TAMIU. All payments must be completed by the mid-point of each semester. Funds are available on a first-come first-served basis and additional late fees may apply. For additional information, contact the Bursar's Office at (956) 326-2140 or email businessoffice@tamiu.edu. Installment Plan & Emergency Tuition/Book Loan payments made after due date(s) will be charged a $25.00 late fee.